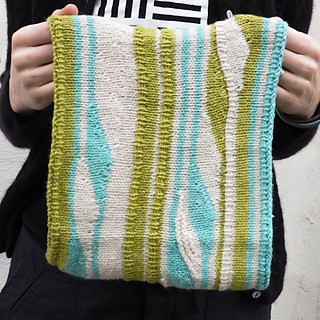 Short Row Sampler uses approximately 70 yards each of three colors of DK-weight yarn. 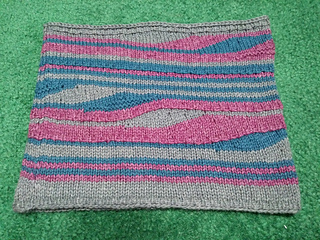 You can use more colors if you like! 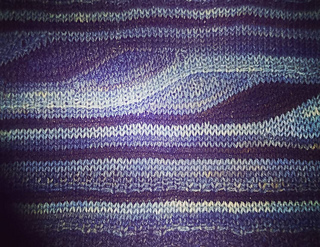 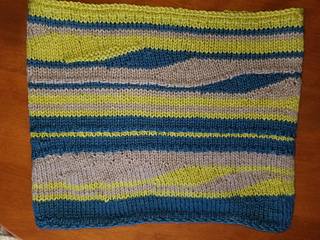 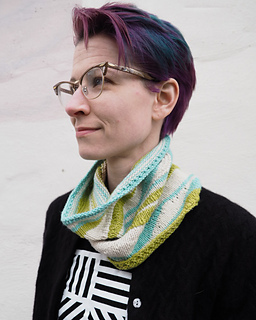 Practice your short row technique while knitting a cowl that echos a desert landscape or ocean waves. 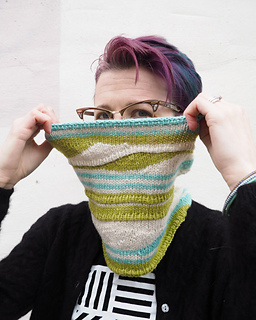 Welts and garter stitch sections give textural interest to this primarily Stockinette stitch cowl. 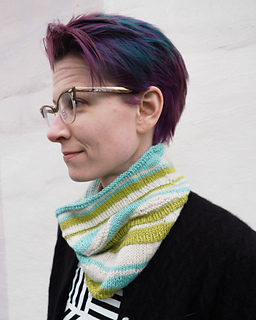 Use three or more colors, make it taller or shorter--this cowl is a canvas for short row experimentation!